…he was captured by a superlative dream to become a traveller and, perhaps, journey around the world. Hence, he abandoned the stethoscope for a life on the road. Subsequently, he became an instant star when he went on a lecture tour of the United States of America, with his bicycle and well donned in a Yoruba agbada outfit, with a matching cap. In a moment of psychological terror, anguish and angst, Sophocles, at a point of deep exasperation, in Oedipus Rex, said: “call no man happy, until he is dead!” Life did terrible things to Oedipus. He had unknowingly murdered his father and married his mother. Chance rules our lives and the future, certainly, is all unknown. In the Yoruba, there is the aphorism, “Alejo l’owo” (“Money is a stranger”), hence if it enters your hand, take good care of it, like a lady fresh at puberty. Moshood Adisa Olabisi Ajala, popularly known as ‘Ajala the traveller’ in his prime, sought to capture the world but was eventually consumed by his passion. He was born in 1934 in Ghana, into a Nigerian polygamous home of 30 children and four wives. He was the 25th child of his father, who relocated back to Nigeria when Olabisi was an infant. He had his secondary education at the Baptist Academy, Lagos and the Ibadan Boys High School, Ibadan. In 1952, at the age of 18, Olabisi proceeded to America to further his education. He was admitted to the University of Chicago as a pre-medical student, whose dream was to become a medical doctor and return to medical practice in Nigeria, and debunk the traditional medical practice considered as being fetish. Shortly thereafter, he was captured by a superlative dream to become a traveller and, perhaps, journey around the world. Hence, he abandoned the stethoscope for a life on the road. Subsequently, he became an instant star when he went on a lecture tour of the United States of America, with his bicycle and well donned in a Yoruba agbada outfit, with a matching cap. He travelled from Chicago and covered about 2,280 miles in 28 days, ending in Los Angeles. The success of that trip encouraged him to explore the world further and he became a self-appointed cultural ambassador, seeking to showcase and educate Americans about the prospects in Nigeria, and that Africans, nay Nigerians most especially, do not walk about naked or covered in leaves and loin clothes. 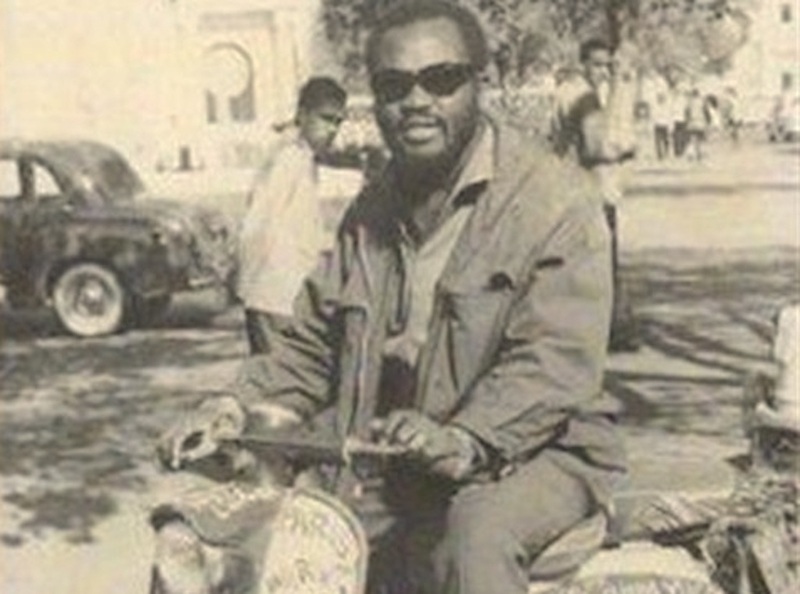 The famous Olabisi Ajala then explored the world, asides the United States of America, visiting about 87 countries with a Scooter Vespa motorcycle in six years. He went to countries such as Israel, India, Australia, Iran, Russia, Ghana, Cyprus, Egypt and so on, where he met some of the greatest leaders in the world. These included Gamal Abdul Nasser of Egypt, Jawarhalar Nehru of India, Niki Khrushchev of the USSR, Mohammed Ressa Shah Pahlavi of Iran, etc. He had movie relationship with Ronald Reagan, who later became president of America and visited Sir Abubakar Tafawa Balewa, the then prime minister of Nigeria, and many more eminent people across the globe. Ajala’s endeavour exposed him to the world of movies, and he featured in White Witch Doctor, produced by the 20th Century Fox movie studio, with a bumper payment of $300 per week. He played the role of “Ola”, a companion of “Loni”, a famous African hunter, played by Roberts Mitshun. In 1955, he signed a movie contract with the Eagle Lion’s studio of Hollywood. He had several television appearances in impeccable African traditional attires, and . He was attractive, handsome and charismatic, thereby becoming an instant attraction to so many women. His marital exploits involved different women across the globe. His first philandering exploit in 1953, was with a Chicago nurse, named Myrtle Basset. Ajala, after Basset’s pregnancy, refused to acknowledge paternity. Basset had no choice but to file a paternity suit against Ajala, on the birth of their son. The lady claimed that Ajala had personally named the child ‘Oladipupo’ and also signed his birth certificate. In mid-life, Ajala became an advertising and entertainment guru. He was a very notable publicist who promoted the music of many Nigerian musicians, including that Chief Sikiru Ayinde Barrister, with whom he was to later have a brawl. As Ayinde’s music promoter, Ajala helped Barrister to organise media promotions and also played major roles in securing shows for the musician. 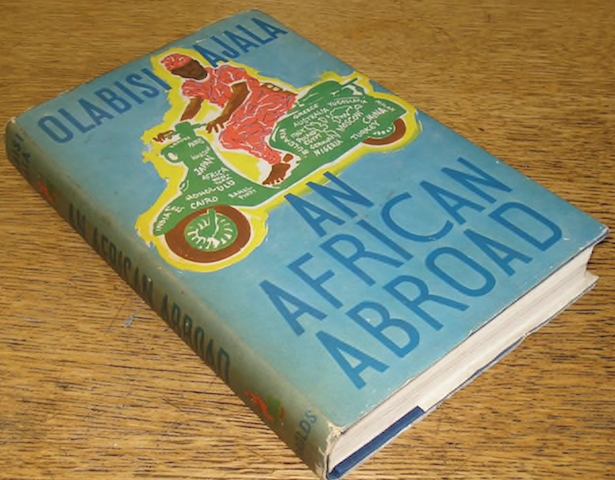 The year 1953 was a truly difficult one for Olabisi Ajala. He was arrested on the charges of forgery, grand theft and being in possession of a worthless cheque by the police. He pleaded not guilty to the charges but rather claimed that he had been also duped by an ex-banker, Arnold Weigner. The court sentenced Ajala to a one-year jail term after which he was to be immediately deported out of America. The sentence was aggravated for the fact that Ajala had abandoned his studies at the Santa Monica Junior College and his student’s visa had been invalidated for the lack of regular school attendance. Olabisi Ajala refused deportation and protested to the immigration authorities in the United States, that he would be killed by his father if he was deported to Nigeria on the grounds of tribal execution. To make good his protest against the deportation order, he climbed an 80-foot radio tower, where he screamed that he would jump to his death, rather than be deported. He protested on the tower for about 24 hours, turning deaf ears to the pleas of the immigration authorities and passers-by. He eventually caved in to the pleas, scaling down from the high tower and finally jumping down from an heights of about 15 feet. He was lucky to have sustained only a sprained back. After the tower episode, Ajala embarked on a strike, which he termed a 30-day Ramadan fasting, that he had to observe as a devoted Muslim. Despite all the protests and desperate efforts to remain in America, Ajala was still flown out, but to London, instead of Nigeria. He had earlier wished to be sent to Canada, but the Canadian immigration did not approve his application. In December 1954, Ajala found his way back to America with another wife, Hermine Aileen, who later divorced him on the charges of being an adulterer and a philanderer in August 1955. In December of that year, Ajala married another 19-year old white British radio and T.V actress, Joan Simons. The album sold millions of copies. Aside from Alhaja Sade, Ajala had wives and children scattered all over the globe. His Australian wife, Wajuan, had for him: Femi, Dante, Lisa and Sydney, who were based in Australia. There were Taiwo and Kehinde in London, Mrs. Toyin Ajala in England, Mrs. Sherifat Ajala in Nigeria. Ajala felt highly embarrassed, insulted and defamed by the “fine bara” album and also saw it as a huge damage to his integrity. Fine Bara, suddenly became his nickname. The innuendo was striking and direct. Ajala had to go to court and sued Barrister for defamation. Chief M.K.O Abiola, Chief Ebenezer Obey, Alhaji Buari Oloto and M. Ola Kassim had to intervene, to mitigate the crises from further degeneration and an armistice was signed between the warring parties, as a cessation of hostility. Having started a meaningful and robust experience at the age of 18, it is still strange, mind-buggling and befuddling that Olabisi Ajala did not leave behind a single house, and thus the exit of a life that started with great potential at the age of 18, ended in penury at 65. Ayinde also had to play free for Ajala’s friend from London, Folly Taiwo. Following this spirit of settlement, Ajala filed a notice of discontinuance in court and withdrew his suit. Sooner thereafter, Ajala’s influence, popularity and fame began to wane. He could no longer sustain the life of opulence, showmanship and glamour he had been revelling in. Olabis Ajala had no house he could call his own and he had to relocate to a rented apartment in a two storey building on Adeniran Street, Bariga, Lagos. To get to Ajala’s dingy apartment, you need to climb two stairs to the top floor and you would be confronted by the way thar life had treated this globe trotter. Thereafter, Ajala suffered a stroke and an irredeemable one at that. It was a year long sickness in pain, agony and melancholy. Alhaja Sade, who then lived in Ikotun, a suburb of Lagos, and his numerous children scattered across the globe, could not save the situation, except for Olaolu, who was then a teenager attending Baptist Academy, Bariga, Lagos and Bolanle, who was also in secondary school, who tendered to him. Ajala could not take adequate care of himself because he had no money and the stroke grew terribly worse and devastating, until he breathed his last. The lesson here is that when fortune and opportunities smile on one, they must be held with a hand of steel and never allowed to slip away. Ajala perhaps, returned the smile with an unwelcoming and uncaring mien, leading to a life that ended tragically on February 2, 1999, at the General Hospital, Ikeja, Lagos, as a result of paralysis from stroke at the age of 65 years. May the soul of Moshood Adisa Olabisi Ajala (the traveller) continually find peaceful repose with the Lord.